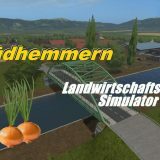 There’re plenty of Farming Simulator 19 mods however, there’re several which are vitally necessary for all the players. One of those mods is Farming Simulator 19 buildings mods. As all of us know, FS 17 buildings can be used for various tasks and owning most modern and greatest buildings can be extremely beneficial. It’s easy to confirm this statement because there’s nothing more important in this world than homes or other buildings which provide shelter as for humans so for items as well. The greatest thing about FS 2019 buildings mods is that they’re completely free. You can take care of you and your items without spending anything. All you need is couple minutes of your free time so you could download and install these mods. Afterwards you’ll see the best results immediately. Grab LS 19 buildings mods now and enjoy the comfortable life you’ve always dreamt of!